I am sitting at my computer listening to the recent recordings of Morella: Passages from a Gothic Opera…..tears are rolling down my face. Forgive the emotion but the Morella camp has moved from strength to strength over the past 3 weeks. The project has now quickly graduated from the vocal rehearsals to the staging of the production. And Lesley with the help of Tom Blackwell (our voice coach) has begun to direct the action every Saturday afternoon and this will continue until production day. Our amazing enthusiastic cast have stepped from choral rehearsals to telling the tragic story as easily as they did with the music. It is thanks to them that our dream is becoming a reality. 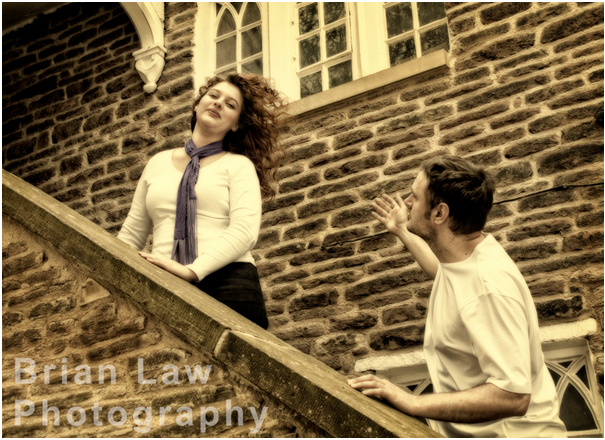 The Saturday before Easter we all met at our proposed venue the beautiful and atmospheric King Edward Street Chapel. The cast, as we expected, loved the experience and appreciated the challenges they face in staging the production. Along with the cast our musicians were able to join us: Maxine, our clarinettist; Rosie, viola (also soprano) and of course Jack not only the composer but our pianist. Also joining us for the second time was Brian Law our photographer who produced the startling image shown on the Barnaby website. Further wonderful photographs were taken and will be used in the production of our posters and programme….thank you so much Brian. 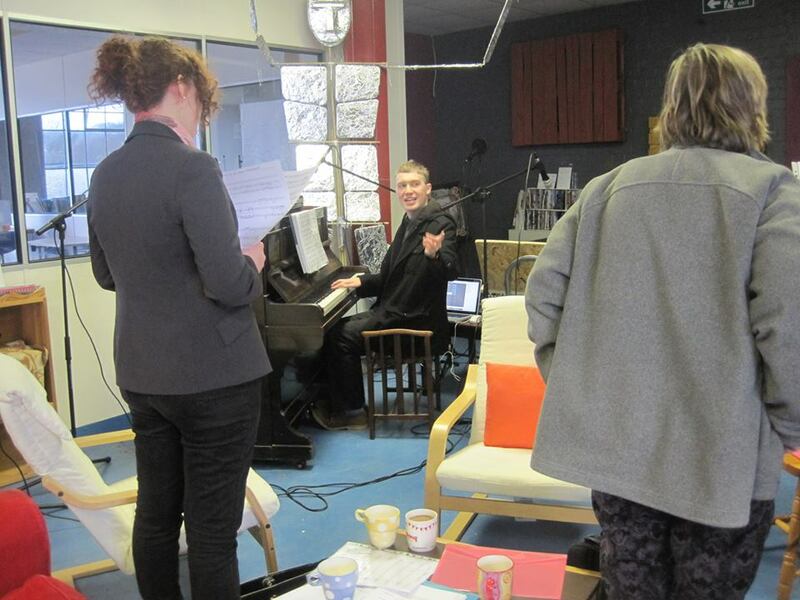 The rehearsal went extremely well: the Song o’the Sea was introduced and practiced with enthusiasm; various scenes were rehearsed and we also took careful measurements of the performance space so that when we returned to Macclesfield Community Artspace we could recreate our stage. As I have said we are meeting every Saturday but also during the week including the previous Sunday prior to the performance night. The next few weeks will see the introduction of the Passages costumes and technical rehearsals. We have been kindly allowed to use the Chapel three more times (which is so generous of the congregation) on the 31st May 7th June and 15th June. Unfortunately we had to say goodbye to Tom on Saturday as he now goes on his national tour performing Gilbert and Sullivan’s Pirates of Penzance. Before he left he make some magnificent recordings of some of the songs in Morella that we are going to use as intro and outro music and it is these that are making me so emotional. Break a leg Tom we will miss you. We need a male tenor rather quickly so if you think you would like to join us on this wonderful journey please get in touch you will be made most welcome. Last week, lyricist Lesley C Guymer was in Texas, thus distancing her from the rehearsals and delaying the writing of the ‘Morella’ blogs. 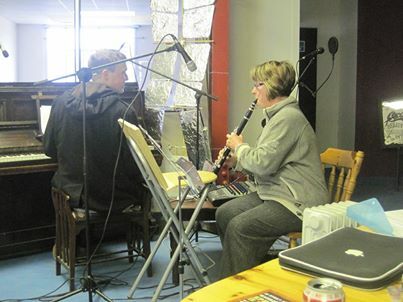 Whilst in Texas, composer Jack M Smith and the company soldiered on, creating the most wonderful sounds possible! 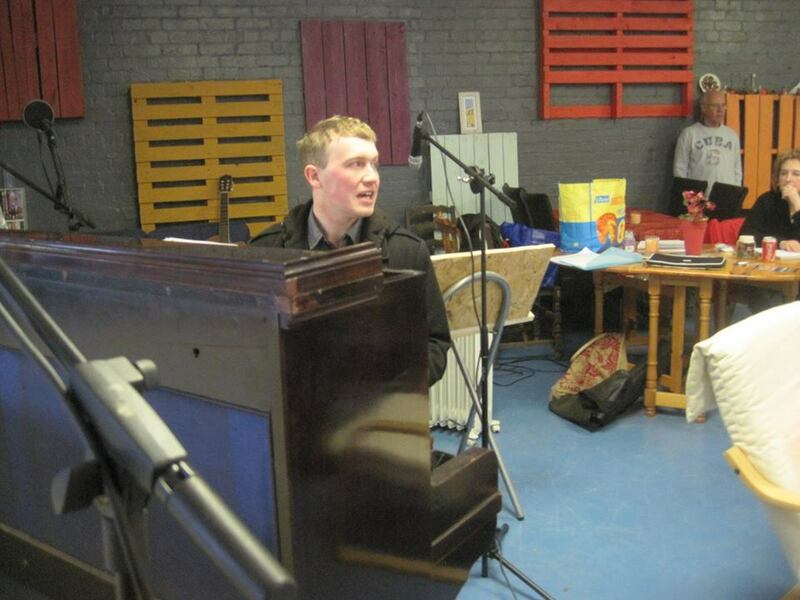 On Wednesday 5th March Jack met with Tom Blackwell who – despite not being able to perform in the final production of ‘Passages from ‘Morella’’ in June – has been incredibly supportive of the project. He re-recorded the Pastor’s songs and also gave a shot at a brand new song to be performed by the Young Sailor, to assist whoever would eventually land this role. 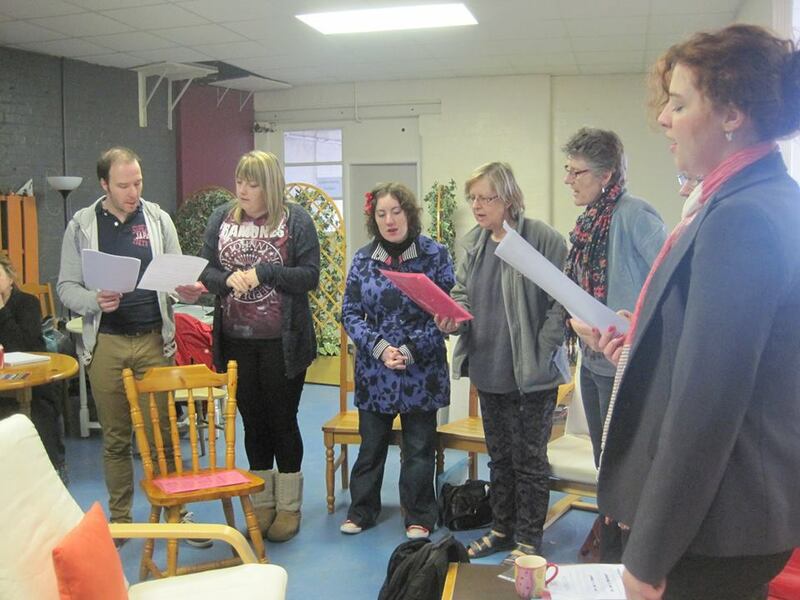 Thursday 6th saw the first rehearsal of the (female) chorus, focusing on their part of the duet with the Pastor. In attendance were Lindy Brett, Rosie Carlisle, Asiah Cullen and Jane Howie, led once again by Jack, who had a further rehearsal that Friday afternoon with lead soprano Alicia Hill, and a new face – male vocalist Luke Stevenson – who would go onto be cast as the Young Sailor. This rehearsal not only welcomed a new cast member, but it brought out acting from Alicia and saw a meeting with Barnaby representative Lynn Jones, who came to discuss publicity with Jack. This week has seen three rehearsals. Monday night was male lead Micheal Daws’s first one-to-one rehearsal, in which Micheal learnt the remained of his songs, whereas Tuesday saw the female chorus leads harmonically shine. 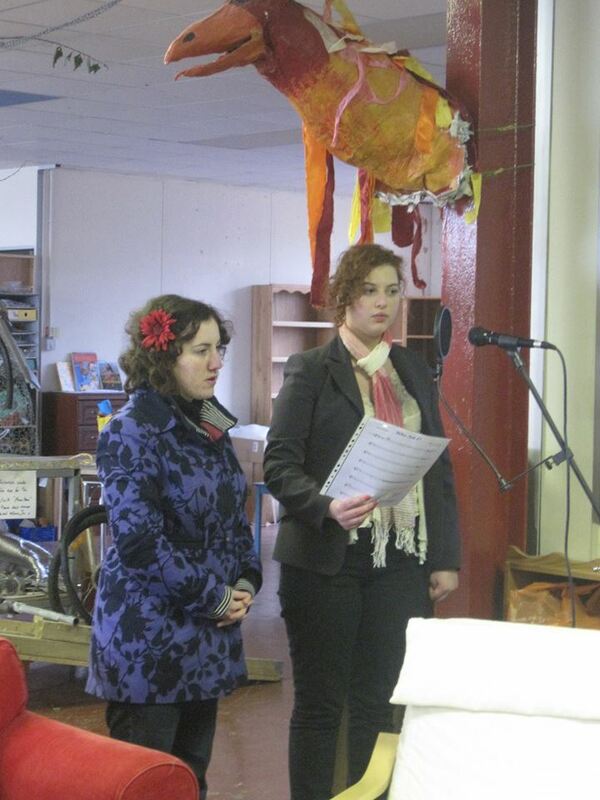 This was Rosie Carlisle and Asiah Cullen, joined for the first time in rehearsal by Patsy Phillips. By the Wednesday, Lesley had returned and almost fully recovered jet lag, thus both she and Jack met up once again with Tom Blackwell – who gave even more confident performances than the previous week – and Micheal Daws. This rehearsal not only saw both parts perform all of their pieces the best they ever have, but it allowed them to duet for the first time in one of the songs performed by the Narrator and the Pastor. It has been an exhausting couple of weeks. Lesley has given her praise and support to both Jack and the cast from thousands of miles overseas, whereas Jack would like to thank all vocalists for their increasing enthusiasm and dedication to the project. The following week will see more rehearsals, but most excitingly is the bringing together of all the cast on Saturday 22nd March for the next workshop. This will be the first opportunity for everybody – including Lesley and Jack themselves – to hear their efforts performed chronologically and with the addition of a script! Do not be deterred from our having a cast already! You will be more than welcome to come and join in – or just watch – if you are interested. And don’t forget…there’s always cake! The latest workshop for Morella met enthusiastically again on Saturday 15th February at Artspace. With continued support from our previous voices and additional male input from very venerable sources casting has now been possible. However we would still like to encourage further musicians and budding vocalists for chorus and a few remaining solo opportunities. As rehearsal dates are beginning to be fixed it is a pleasure to be a part of this exciting new work. 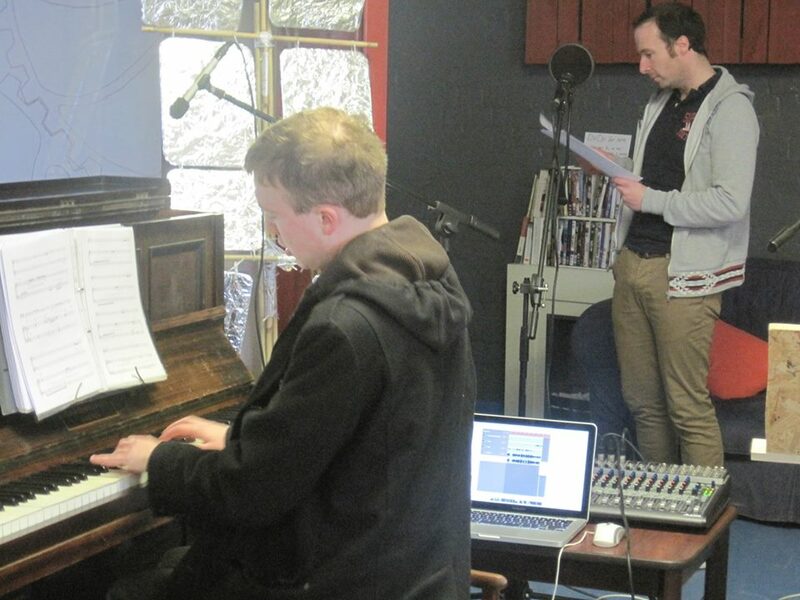 Mitchell & Creasser are writing a contemporary opera based upon the short story by Edgar Allan Poe. We are looking for volunteers who would be willing to help us produce an abridged version of our show, with a view to full production. There are several lead roles – male and female – that you could assist with, but we also need to put together a full chorus. We are looking to put together a band to help bring our music to life! Workshops to be held regularly on Saturday afternoons. 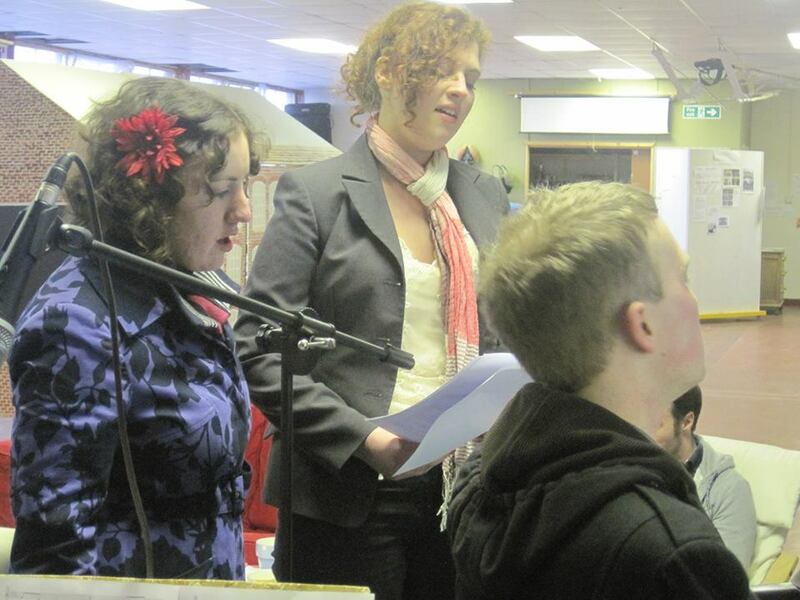 …is a fully fledged musical written by Lesley Creasser Guymer and Jack Mitchell Smith…. For Barnaby, we are producing a special routine “Passages” – for a one off performance of “Morella” – the woman who wished to be immortal. If you are a singer or musician willing to take part in this exciting opportunity then don’t hesitate! All singers and musicians welcome. Please contact mitchell_creasser@outlook.com for more details!